Last week I turned 36, meaning I'm just a year younger than Vincent Van Gogh when he tragically died at the tender age of 37. This year marks 125 years since his death - 30th July, 1890. It's the perfect time to rediscover the genius of Van Gogh and try separating the myth from the reality. Who was the real Vincent Van Gogh? Where did he live and work? These are the questions that I am focussing in my quest to find Vincent. My search for Vincent starts in Amsterdam at the Van Gogh Museum. I have only a day to spare in Amsterdam and I dedicate the morning to exploring the museum. I buy my tickets online via Expedia's website, allowing me to jump the queues; it's totally worth spending the extra €5 considering my tight schedule. I also hire one of the audio guides to get some insight and hear some of the stories behind each of his works of art. From the dark but moving Potato Eaters to colourful masterpieces like The Yellow House and Almond Blossom to the achingly beautiful landscapes he painted in the last weeks of his life in Auvers-sur-Oise, the Van Gogh Museum takes you through the different stages of Vincent Van Gogh's brief but extraordinary career. The exhibition is a reminder of what a tragically short life Vincent had. It is amazing when you look back and realise that he only started painting seriously at the age of 27. Until then, Vincent had been keen on becoming a preacher. It was only through the encouragement of his younger brother, Theo, who was an art dealer in Paris at the time, that Vincent decided upon a career in art. Thereon followed a short but extraordinary career which would take Vincent to wheat fields and windmills of Nuenen (the next stop on my Van Gogh pilgrimage), where his father was a pastor, to the gaudy decadence of bohemian Paris, Montmartre, and beyond. To escape the excesses of Paris, he then attempted to start an artists' retreat in the famous 'Yellow House' of Arles, which ended in failure. Soon after, his mental and physical health rapidly deteriorated, leading to periods of hospitalisation. Upon leaving the mental asylum in Saint Remy, Vincent spent his last days in Auvers Sur Oise before sadly deciding to take his own life. Looking back at his life and achievements at the Van Gogh Museum was a poignant reminder to me of the fragility of human life. By the time of his death at 36, Van Gogh had received almost no recognition and he'd sold only one painting in his lifetime. He had lived through ongoing bouts of ill health and debilitating depression. It's also rumored he suffered from a form of epilepsy, with the symptoms worsening during the periods of neglect in the last few months of his life. His personal conditions became so bad that he was eventually moved to take his own life. 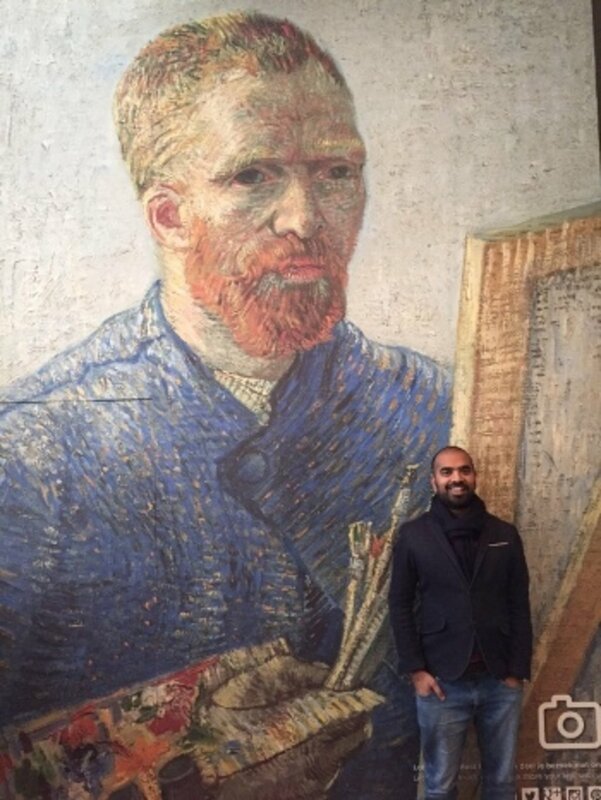 It was only after his death that Van Gogh's works gained the long overdue acknowledgment and adulation he could only have dreamt of in his lifetime. After visiting the Van Gogh Museum, I checked out a few of the Amsterdam addresses that a young Van Gogh frequented between 1877 and 1878. First stop, No. 13 Jonas Daniel Meyerplein, where Van Gogh's tutor lived. At the time Vincent was training to be a clergyman and it was here that he was privately tutored by a Mr M.B. Mendes da Costa in Latin and Greek; required subjects for entrance exams for the study of Divinity. It was an amazing experience knowing that I was standing in a place where Vincent had once been many times. Vincent himself actually lived nearby at this time with his Uncle at Grote Kattenburgerstraat 3 in the Navy dockyard. Unfortunately, I never made it there on this occasion, but the house does still exist. So, if any of you Van Gogh fanatics out there want to see the place a young Vincent used to lay his head, now you know where to go! Next on the list was 168 Prinsengracht, the house of Kee-Vos Stricker. Vincent had fallen in love with Stricker, his cousin, after she became a widow. 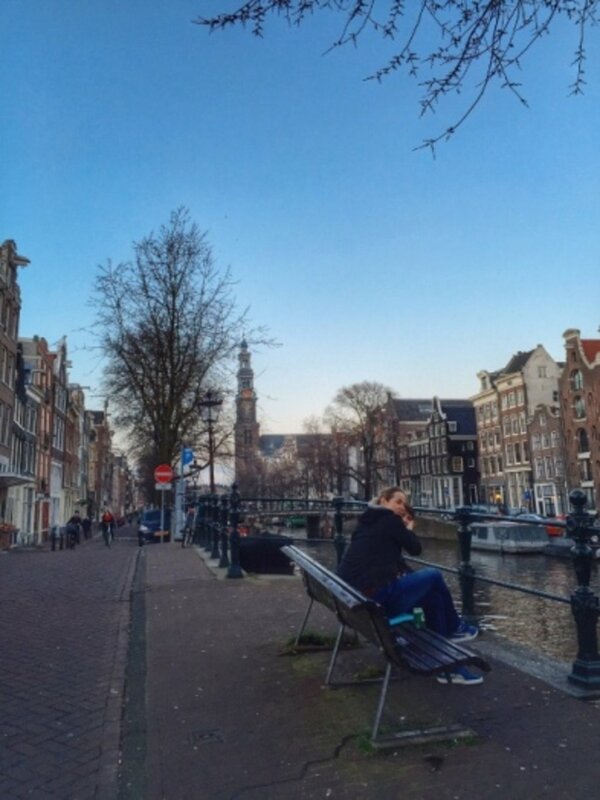 As I walked down Prinsengracht I imagined a younger, happier Vincent ambling down the canal towards her house. "Rembrandt is so deeply mysterious that he says things for which there are no words in any language." In some ways Van Gogh was similar to Rembrandt. 125 years on we are still discovering his work, for which there are no words in any language to do its beauty and mysterious charm any justice. Stay at the Canal Boutique Apartments; a great location in middle of Keizergracht. There's also a brilliant little restaurant on the corner and an organic grocery, Marqt, just across the road. Not only this, but there's also easy access to trams and it is just 2 blocks to Anne Frank Haus. The Wifi worked great, the room was beautiful with a nice soft bed and there's even a Nespresso machine to make coffee. From 8.45am everyday you can help yourself to complimentary pastries and coffee at the reception - no doubt a great way to start the day. For more information about Van Gogh's time in Amsterdam, checkout the new Van Gogh Route website. Jump the queue by buying your tickets to the Van Gogh museum online or via the Expedia website. The 48 hour iAmsterdam card acts as a free public transportation pass, provides free entrance to Amsterdam's major museums & attractions and also a free canal cruise - all for just for €59. If you're a classical music buff like me, make time to visit the Royal Concertgebouw Orchestra - one of the world's leading classical symphony orchestras. They have a number of world class musicians performing there and tickets for evening concerts start from around just €30. If you are in Amsterdam on a Wednesday, make sure you check out their free lunchtime concerts. Try to get there with plenty of time as the matinee tickets are sold on a first-come, first-serve basis - but failing that, you can still hang around as the concert is broadcast on screens in the foyer. 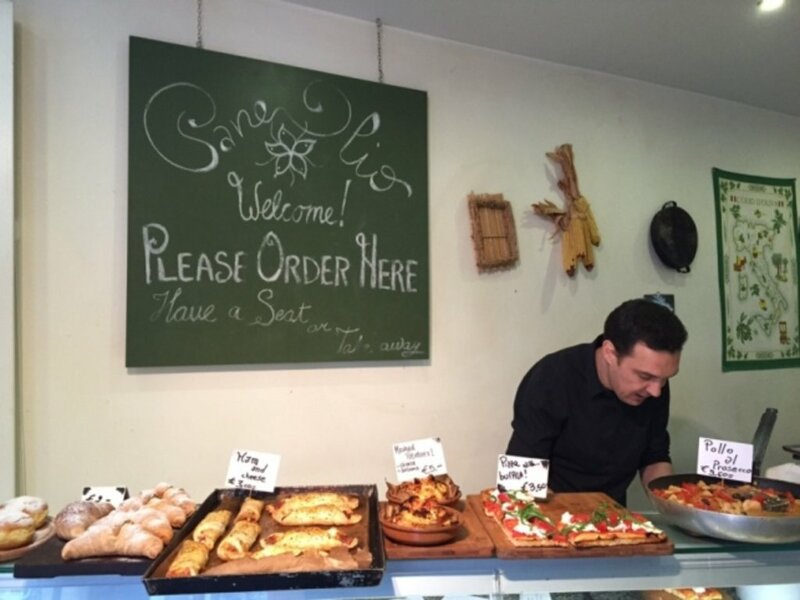 A major highlight of my trip was my lunch visit to Pane e Olio, a delightful Italian eatery and small corner of Tuscany in Amsterdam. This restaurant-come-deli is located in a small alley between the Singel and the Herengracht, just a few minutes from Dam Square. Try their signature dishes like the Tuscan tomato soup for just €3.50, mashed potatoes with cheese and salami for €5, pizza al taglio with fresh tomatoes, rocket and buffalo mozzarella for €3.50 or their delicious Tuscan chicken stew cooked in prosecco for €9.50. Beautiful, home cooked food; lovely, welcoming staff; plus the coffee here is good and cheap - no doubt a bargain in an expensive city like Amsterdam.